TEAM LEAGUE IS BACK!!! January 24th 2019! Bad News and GREAT NEWS! Unfortunately, there will be no FREE PLAY Wednesday this week, I will be out of town today for a pinball tournament and won’t be able to get the machines switched over. Goldeneye is still on free play but everything else will take a few quarters tonight, sorry for any inconvenience. Still feel free to submit those selfie scores on Metallica, Stars, & Prospector. That is it for the bad news. Now for the GREAT NEWS! Tomorrow we have The 3rd Annual Henry House Bowling Benefit! This event helps out our good friend Henry! It starts at 6 PM and when it concludes we will still have our regular night of league pinball. Mark and I are going to donate all the coin drop from the pinball machines tomorrow night to the charity event as well so get in there early & stay late so we can make a nice big donation while having a lot of fun playing pinball. Also, there are only two weeks of the league season left, and the Championship League Belt will be on display tomorrow night so you can all see what you are looking to battle for! Remember the top 4 players from our location get invited to play in Indy on May 4th for the SUPER LEAGUE CHAMPIONSHIP! A custom trophy has just been ordered for this as well that the champion will get to keep until the next season of finals. Can’t wait to see everyone tomorrow! A huge thanks to everyone who came out for league night last night, I hope you had a blast! Here are the updated league standings as of week 6, but remember we still have Make-Up Monday so things could shift a bit with those players getting their scores in. You can also check out the Hoosier Open Pinball Super-League page to see how you are doing compared to players from around the state! If your name is highlighted (Keith, Zach DeWitt, Danielle, and Brett) you are currently qualified to play in the HOPS League Championships! This takes place Saturday, May 4th in Indianapolis at Boss Battle Games! The event should last roughly from 1PM-6PM, and include the top 16 players from around the state duking it out for pinball supremacy! Now, remember with two weeks of play left to go there is still time for a lot of moving and shaking in the standings, get down to North End Pub and practice before next week’s league night! Don’t forget to submit Selfie scores while you are there for Stars, Metallica, and Prospector as well. Oh YEAH! It’s the best day of the week! League Night down at North End Pub! Get in that HOT ACTION PINBALL! Come see you all your friends, drink some beers, eat some pizza & wings, and most importantly have fun. Get down to North End Pub tonight to enjoy some free pinball! Don’t forget to take pics of your scores for Metallica, Stars, and Prospector and get those submitted for this month’s selfie tournament! Here are the updated standings for Pinball League! Remember that this is the first year we have unified with other pinball leagues from around the state to form the Hoosier Open Pinball Super-League (HOPS). North End Pub will be sending our top 4 players to go and battle for the HOPS Championship in Indianapolis at Boss Battle Games on May 4th! Just one month away! We have 3 weeks left to move and shake your way up the standings. If I end up in the top 4 for the season I will not be able to attend the tournament so the next highest qualifier from North End Pub could then attend instead. Additionally, we will have our own finals tournament at North End Pub for everyone who participated in the league this season and the winner will get the distinction of winning the new North End Pub Championship Belt! You can always check out the HOPS League website as well and see how you are doing compared to all the rest of the players from around the state. You will want to look at the adjusted points and not the total points as that will show you where you stand with the two lowest weeks dropped. Thank you to everyone who has been playing this season, hopefully, this will continue to grow and being an even bigger success throughout the year! FREE PLAY! FREE PLAY WEDNESDAY! League Night Tomorrow! New Game Day Tomorrow! All the FREE PINBALL you can handle at North End Pub tonight!!!! Take pictures of your scores on Stars, Prospector, and Metallica for this month’s selfie tournament! Current standings are below. Also, thanks to Mark we are going to be getting Spooky a little bit early this year as tomorrow we will have the arrival of one of the rarest pinball machines in existence America’s Most Haunted! 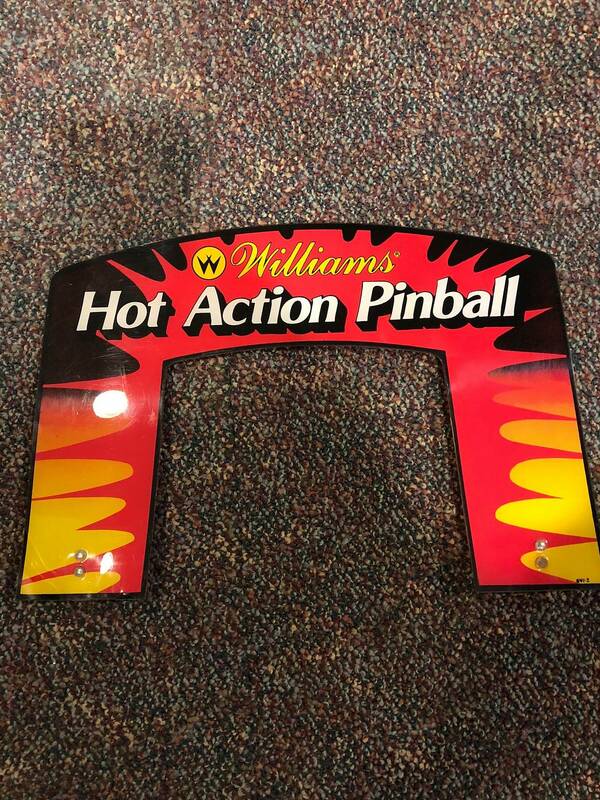 Only 150 of these exist, with this one being the 18th to be placed in a public location and shared with pinball players! The first game is manufactured by Spooky Pinball out of Wisconsin, designed by electronics genius Ben Heck, and featuring the funniest callouts in pinball machine history. If you ever wanted to hunt ghosts in a pinball machine this is the game for you! Featuring a drunken bar lady ghost, a civil war ghost, a mad doctor ghost, and many more! Additionally check out Things that Go Bump in the Night: The Spooky Pinball Story, a full-length documentary made by my friends Dana and Joel Reeves that gives you all the details about how this machine came to exist, available on Amazon and Vimeo. You can also see the game in progress of being built by Ben Heck on his YouTube show along with all sorts of other cool videos that he has done. Happy April and hopefully some Spring weather gets here soon! A new month means new selfie tournament games. This month we are going to try something new by having 3 games in the tournament, however only your best 2 counts towards the final standings. That means you can play all three games as much as you want, or you can just really focus in on 2 of them, whatever works best for you. The games for April are Metallica, Prospector, and Stars. Play them as much as you want for the month of April, take pictures of those scores and post them to Matchplay or feel free to email them to me or text them to me 574-596-2668. The finals will be on the first Monday of May at 6 PM!